Tesla to unveil new affordable electric car, but will it sell? On Thursday night, Elon Musk will unveil Tesla’s newest attempt at providing pollution-free transportation, previewing its Model 3, at the SpaceX campus in Hawthorne, California, according to latimes.com. Not much in known about the new model, but insiders say the it’s a scaled-down version of the Model S, which is priced at about $70,000, and the Model 3 is expected to start at around $35,000, hopefully making it more affordable to the general public. Even thought the car is not yet in production, and won’t be available for delivery until December 2017, customers have already said they intend to form lines outside the company’s showrooms hours before orders are to be taken for the new vehicle. But, analysts are saying they expect the same delays that plagued Tesla’s Model X to impact the production of the new model as well. Some are predicting the company will receive up to 100,000 orders within the first 24 hours of availability for their new electric car, which the company has said will be able to travel for up to 200 miles on a single charge. Despite that prediction, some analysts say the car will face serious competition against other long-range electric automobiles from other major manufacturers, that may be already available by the time the first Model 3 ships. Established auto makers Mercedes-Benz, BMW, Audi, and Volvo have said they also have plans for long-range electric cars in the works. The market share for plug-in electric vehicles is small at this point, and the field could get crowded rather quickly. Electric vehicles make up less than three percent of new car sales in most markets. Even General Motors has announced the Chevy Bolt, a plug-in electric that is predicted to range 200 miles on a charge, and is planned to the market at the end of 2016 with a $37,500 starting price tag. But Kelley Blue Book senior analyst Rebecca Lindland said if the company can manufacture the Model 3 at that price point and with the predicted range, it would have the potential to pull in a lot of buyers. 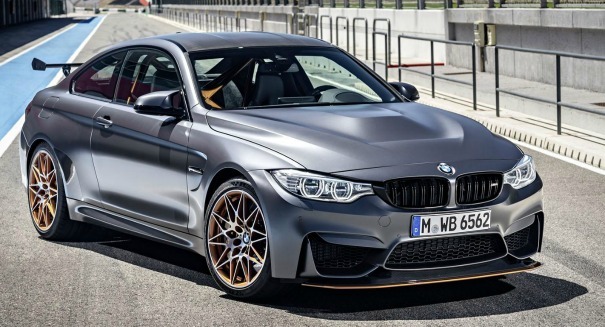 Everyone knows about BMW’s expertise in building state of the art automobiles, but the new M4 GTS being previewed at Amelia Island Concours d’Elagance this weekend has auto enthusiasts oohing an ah-hing over the latest edition of the carmaker’s line, according to SlashGear. Quite possibly the most striking feature of the new M4 is the forged aluminum Acid Orange wheels with contrast polishing, equipped with 19-inch Sport Cup tires on the front and 20-inch tires on the back. The 3.0 liter M TwinPower inline 6-cylinder engine is rated at 493 horsepower, with 443 ft.-lbs. of torque, with a quoted top speed of 189.5 mph, and 0-60 in 3.5 seconds. The engine also features a water injection system, hidden in the trunk, that injects a fine mist of water into the intake manifold, reducing the final compression temperature. That, allowing the engine to run a higher boost pressure and earlier spark timing, gives a nudge to both power and torque, and engine efficiency. BMW reports the water in the tank would need to be topped after every five gas tanks of use, but if you fail to do so, the engine will automatically revert to normal operation, albeit with a little less power. The company is offering the new model in four colors, Alpine White, Black Sapphire, Mineral Grey and Frozen Grey, but don’t get your hopes up for making a purchase on one of the new models. BMW only plans to make 700 of these autos, and at a price tag that starts at $134,200 in the United States, every one of the 700 has already been sold. According to CBS News, it’s important to note that when it comes to getting the ticket, it is, of course, more contingent on the driver than the car. “But it is interesting to see what vehicle makes and models attract drivers who are prone to traffic violations,” said Penny Gusner, a consumer analyst for Insurance.com, in a statement. Cars with the lowest percentage of tickets tended to be luxury vehicles, while the past two years have found that drivers of the Lexus ES 300, Nissan 350Z and Dodge Charge SE/SXT were ticketed most often. The survey was based on insurance claim and traffic violation data from 331 car models and more than 323,000 customers. The percentages in the list represent the number of drivers of that model of car who received a ticket during the past year. Next month’s Academy Awards show will be graced by an unlikely star: the new ad for the Cadillac CT6 will be unveiled during the Hollywood award show. According to the Detroit News, the ad was considered for the Super Bowl but ultimately ended up being slated for the Oscars. The reason? Cadillac’s new business strategy involves confronting European car manufacturers where their sales are the highest — specifically, on the East and West coast, where 40 percent of all luxury sales are made. The Oscars ad is just one of many efforts being made by Cadillac and General Motors in order to strengthen their position in the market relative to European companies. This strategy has also involved moving headquarters from Detroit to New York. The CT6 and its media campaign represent one aspect of the company’s ambitious, $12 billion product blitz that hopes to bring eight new models to showrooms by 2020. The car itself will roll out starting at $54,495. The CT6 will come packing smaller, more efficient engines in comparison to those found in German cars, though the company promises a similar power-to-weight ratio. 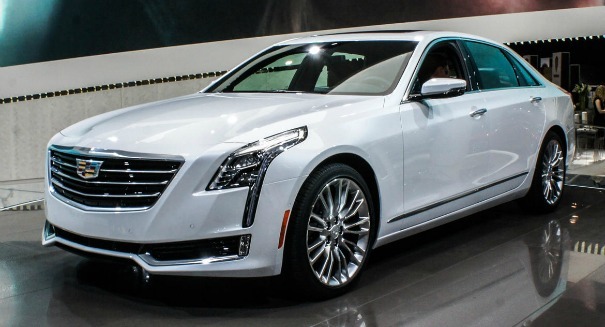 In addition to this particular model of CT6, which Cadillac plans on releasing in March, a plug-in hybrid version of the car will be premiered later this year. As Volkswagen’s emissions scandal investigation proceeds, the company is rolling out new technology for its future passenger cars, including driverless cars and automatic parking. They have released a prototype of an electronic van called BUDD-e, which claims a range of 280 miles on a single charge, and charges up to 80 percent in 30 minutes. They also demonstrated the new e-Golf Touch, with an “infotainment system” that responds to hand gestures and voice commands, a feature company executives say will be available on some of their cars within 12 months. The showstopper, however, was the BUDD-e. The first notable difference from traditional cars would likely be the lack of door handles. A wave of the hand or a voice command opens the door. There are also connections between the car and various devices. Herbert Diess, chairman of Volkswagen’s board of management, demonstrated how drivers of the not-so-distant future will interact with their passenger vehicle. He asked the car to tell him if he had enough beer in his refrigerator for a party, and a video image appeared showing an empty fridge. He next responded to two men ringing his doorbell by opening the front door. The van can also be programmed to accept packages, which a delivery person could place in a space that appears when the rear bumper slides open. 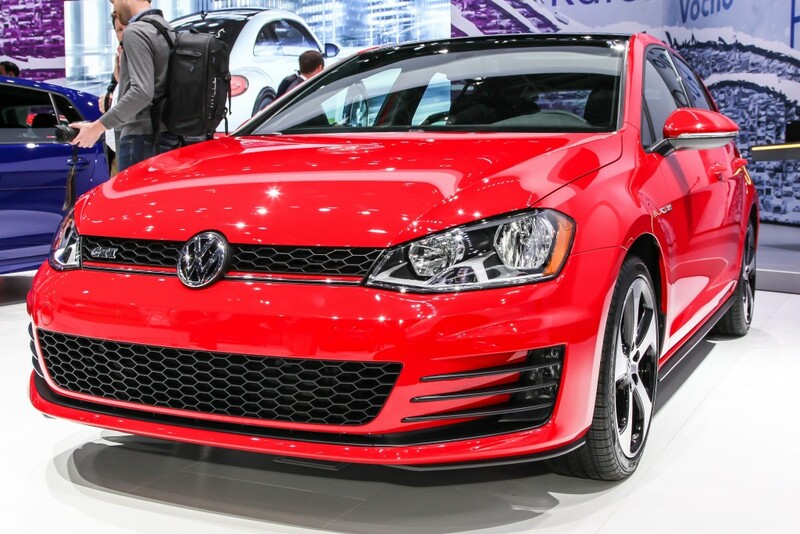 On Wednesday, Volkswagen announced that it has formed a strategic partnership with Mobileye, a company that creates real-time image-processing cameras, with the goal of installing them on future VW cars so that they can gather data on roads. The data will be used to create maps that will form the basis for driverless cars. In August Volkswagen purchased Nokia’s HERE mapping business. The move is an example of growing trends of partnerships between automakers and technology firms. The company is still working to shift attention from scandal to technology, but the emissions issue is still under scrutiny from U.S. attorneys general. Diess said that Volkswagen is working on a “comprehensive plan” to bring 500,000 vehicles into compliance with U.S. emissions standards. On the Colbert Report, Stephen Colbert was known for his “product placement” appeals for Doritos and other products. Now on his new CBS show “The Late Show With Stephen Colbert,” the late night host is making a pitch for one product he really loves. Colbert drives a Tesla Model S, and according to Bloomberg, he spent several minutes on a recent show talking up the car’s latest features. With the most recent of Tesla’s wireless upgrades, Colbert noted that his car could now drive on its own. A thirty-second ad on Colbert’s CBS show costs companies nearly $40,000. But Tesla does not buy television or radio ads, or do nay traditional media marketing, so celebrity endorsements are among the company’s most valuable marketing tools. The savings from avoiding paid media also frees funds for Tesla to devote to engineering and product development. Colbert is just the latest celebrity to ring the praises of their Teslas. Others include actress Alyssa Milano, director Jon Favreau and Teller (of Penn and Teller fame). Oprah has also shared pictures of her Tesla with her millions of social media followers. Tesla can use the celebrity love these days. The company’s Model S was recently downgraded by Consumer Reports, due to complaints about reliability, and the company’s stock is down for the year. 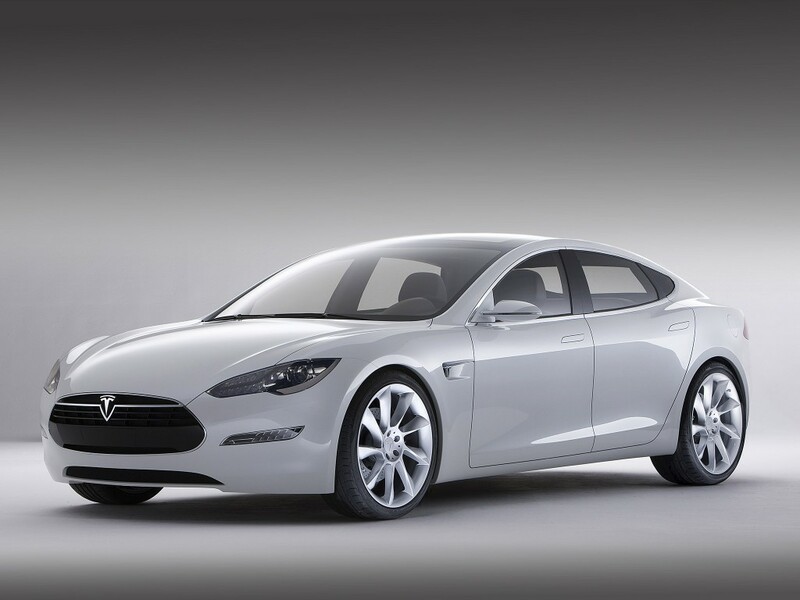 Is the Tesla Model S a lemon? The Tesla Model S is one of the most technologically advanced cars on the road, and as recently as August was lauded by Consumer Reports for its best-ever scores on the magazine’s performance tests. But this week the influential auto ranking nonprofit told a meeting of Detroit’s Automotive Press Association that it would no longer recommend the vehicle, according to Reuters. In explaining the decision, magazine editors noted the increase in reliability complaints related to the car’s new technology. The issues underscore the tension between car makers’ desire to meet consumer expectations for technological upgrades with their demand for the reliability of proven technologies. Complaints about the Model S and other similar vehicles are believed to be mostly related to the innovative mileage-boosting transmission device and digital multi-media systems. In Consumer Reports surveys of more than 1400 Tesla Model S owners, the car received lower than average reliability ratings. Complaints revolved around drive train issues, problems with the dashboard display, electric charging issues and general noises and leaks. Still, 97 percent of Tesla owners said they would buy another Model S, and lauded the company for the ease of repairs and responsive customer service. A Tesla spokesman noted that, with the companies’ networked software, many repairs could be made without owners needing to bring in their cars. You may have seen driverless cars being tested on the roads, and you may have even some in car crashes. But car makers say that without consistent rules on who’s to blame in such accidents, their drive to bring the technology to market will be delayed. The inadequate regulations have become a major barrier to driverless car adoption, according to a BBC report. Now Volvo is joining Google in saying it will accept full liability if its driverless cars crash, in order to fast-track marketing of the cars. Volvo Cars President Hakan Samuelsson praised the U.S. for taking the lead in autonomous car technology, but suggested that the country is falling behind due to its inconsistent and inadequate testing, certification and regulations. Currently each state has its own driverless car rules, with some states allowing road testing, while others have stricter standards. In Europe, rules also vary country to country, making for an even more challenging environment for car makers. Volvo’s pledge applies in any situation when the car’s technology causes an accident, according to the company’s chief technical officer. If the technology is misused by the customer or if the accident is caused by a third-party, the company would not accept liability, he said. Chevy unveiled its new electric car model, the Volt, almost eight years ago. Now, the company is finally ready to unleash the 2016 edition of the Volt, and much has changed about the car’s technical ability and handling since it was first designed. According to a review from Motor Trend, the new Volt improves upon some of the hanging issues with first generation electric vehicles. Chevy released a Volt in 2011 as well, and sold roughly 69,000 cars. Altogether, Volt owners have totaled close to 650 million miles in their electric vehicles, earning it exceptional ratings on J.D. Power’s Dependability index. The Generation II Volt uses sophisticated redesigns that will make Volt fans question if it is even the same vehicle. Chevy spent a lot of time improving the car’s performance and range while lowering the overall cost. The 1.4-liter engine was swapped out with a new 1.5-liter I-4 engine that uses direct injection, 12.5:1 compression, exhaust gas recirculation, and cam phasing that allows the car to run on the Atkinson cycle. This new engine gives the 2016 Chevy Volt a much-needed upgrade in torque and power, allowing it to drive at a maximum of 5600 rpm. The new battery pack replaced all but nine parts from the previous model. It employs prismatic pouch-like cells with an updated lithium-ion formula across 192 cells. Chevy reports that the battery is 20 percent more efficient than the previous, and weighs 30 pounds less. It has a lower internal resistance and an improved cooling system that reduced the number of seams for better dependability. The computer in the 2016 Volt received an update as well by integrating the Traction Power Inverter Module and other controller electronics with the electric engine and transmission. This allows for better connectivity between the car’s electronics and the transmission, eliminating the need for clunky orange cables. The new electronic system led to a 60 percent reduction in volume, and a decrease of 100 pounds in the powertrain. Chevy also completely revamped the transmission in the new Volt. Two different motors trade back and forth to propel the car forward depending on its needs at a given time. They can even work together to ensure that the car is running efficiently. The smaller engine uses an iron-based material, while the other one uses a combination of rare-earth metals. The engine can operate in five different modes, and dropped a total of 33 pounds compared to the older model. The new Volt can accelerate 20 percent faster, and will drive at a rate that is overall 12 percent more efficient than the 2011 model. Volts on the road now can drive for an estimated 38 miles without needing a charge. Motor Trend estimates that the increases in overall efficiency would allow the 2016 Volt to drive for a range of nearly 50 miles. The 2011 Volt won the Motor Trend Car of the Year award, but that was a different time when electric vehicles were relatively unheard of. Since then, the market for electric cars has taken off. 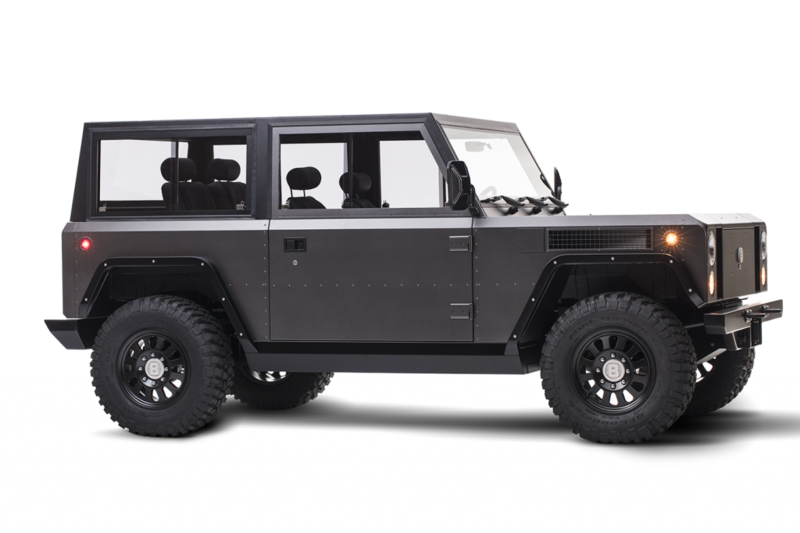 BMW has released an electric vehicle, Toyota is currently working on hydrogen fuel cell technology, and Tesla Motors has launched electronic cars from relative obscurity into the mainstream. The new Volt will face more competition than the older generation, but the improvements to the engine, transmission, and overall efficiency of the car, as well as the $1,200 discount from the previous price, make it a serious competitor for a useful, high-performing electric vehicle. Drivers will love the 2016 Volt for its power and range, and families will love it for its price tag. Not having to stop at the gas station so often is an added benefit, too.